mendelson AS2 could send and receive AS2 messages from and to trading partners via HTTP and HTTPS. It supports synchronous MDN and asynchronous MDN. There runs an additional poll thread for every partner that polls special directories per partner and sends matching files to the mendelson AS2 server. Please have a look at the following diagram for an overview of the inluded components of the mendelson AS2 package. All these components install out-of-the-box if you are using the installer. 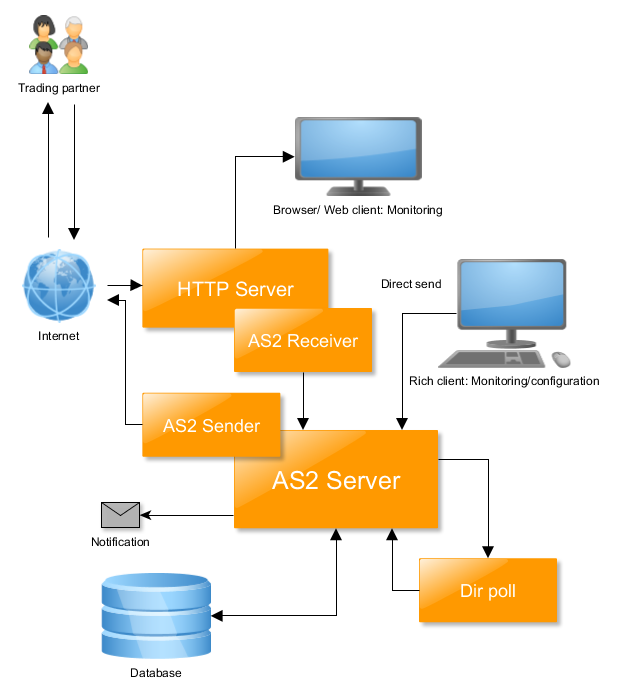 The main difference in the architecture between the commercial version and the community version (open source) is that in the commercial version the user interface and the AS2 server are running in different processes and could even run on different machines/operation systems while the server could run as service. The community version acts as a desktop system, user interface and server are running in the same process. 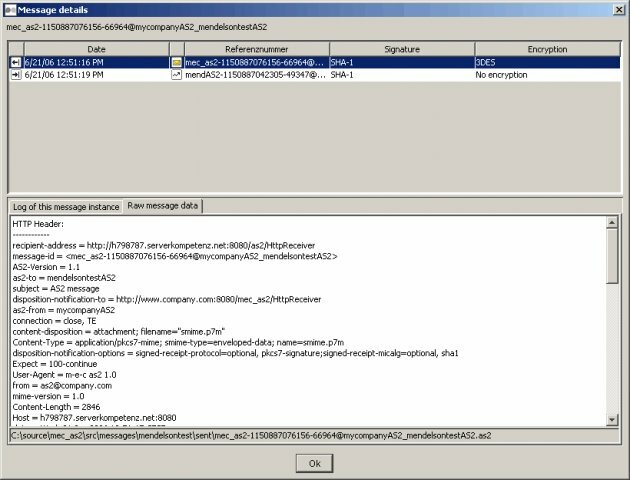 The AS2 client contains the transaction management, partner management, certificate management (commercial version only). It allows to set all server properties and configure the system. This is an optional component, it allows to monitor the AS2 transactions via a browser. 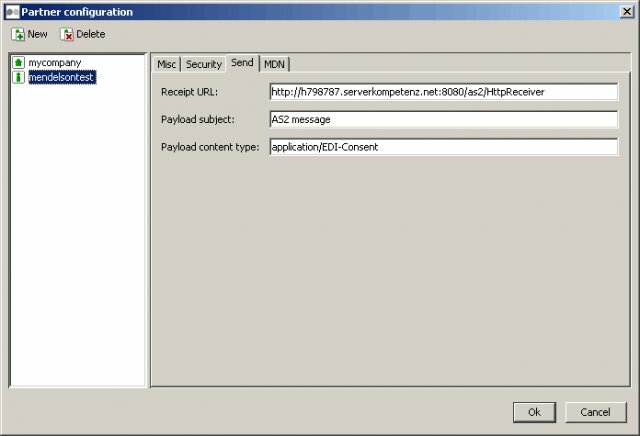 The HTTP server acts as a servlet container for the message receipt servlet. It host alos some information pages. 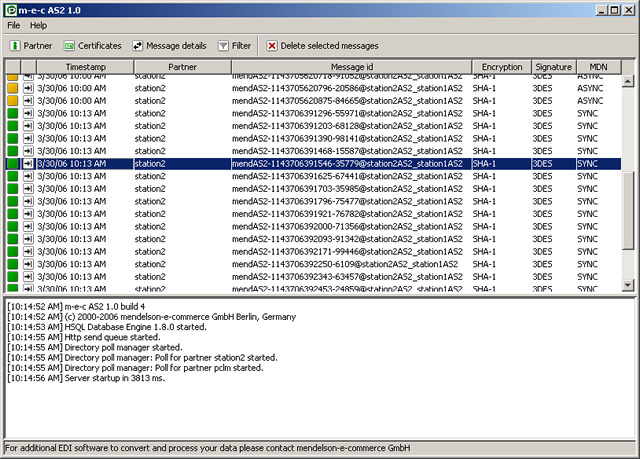 The servlet sends received messages via RMI to the server. There is a HTTP server included in the installation package but its also possible to deploy the AS2 receiver in any other servlet container. This component sends messages and MDN (async) to the trading partner. It also received MDN if the MDN of an outbound transmission is set to sync. Allows the notification via mail if there occured any event that requires user interaction.